What Goes into that Cake? 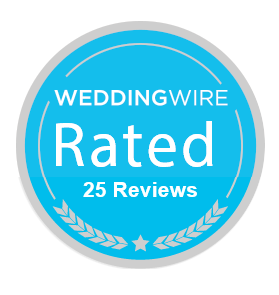 We’re often glad to receive compliments on the details of our cake designs and creations. 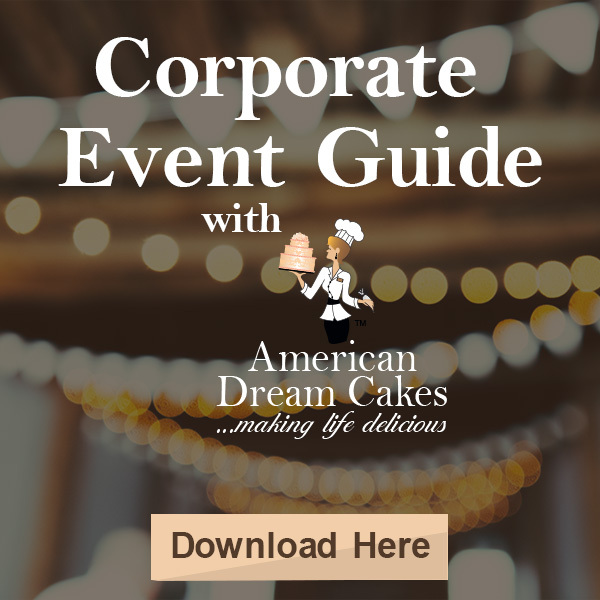 From custom event cakes to corporate cakes to gorgeous wedding cakes, we’ve had a lot of experience as cake artists. What may surprise you is the level of engineering and time that are required to make the ornate flowers and detailed facades of the cakes we’ve had the privilege to create. 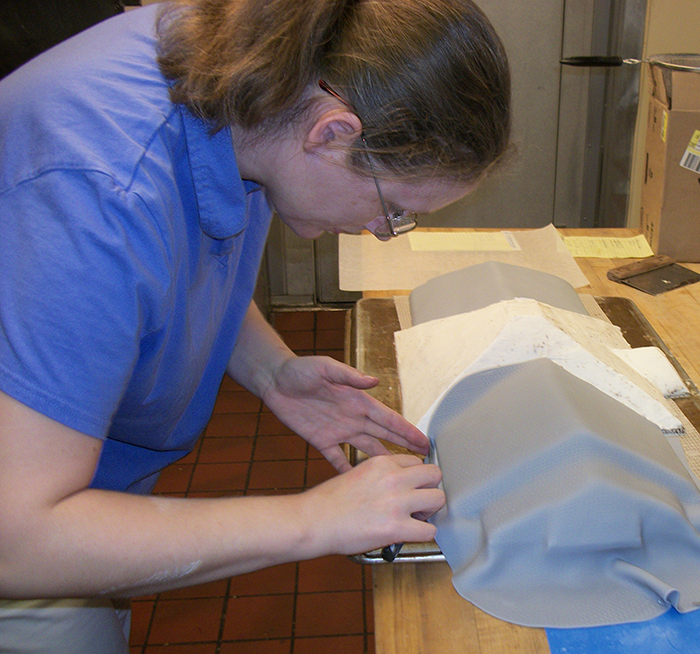 Here’s an inside peek at the process and the time it takes to construct a detailed custom cake. 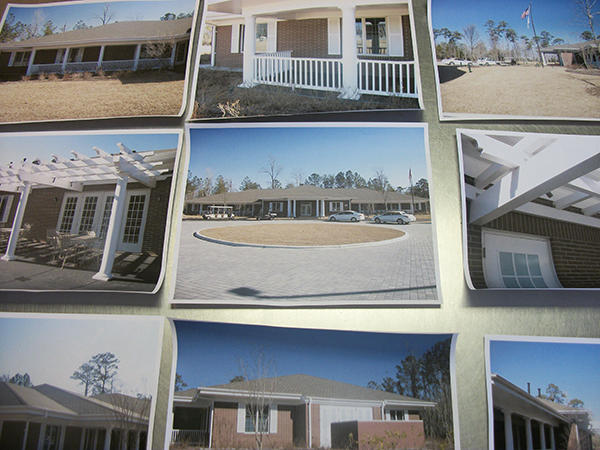 This project was a recreation of the Fisher House, a facility that serves military families aboard Camp Lejeune during a medial crisis. As a military family and milspouse-owned business, we were honored to complete this cake. Here’s the low down on how long it took our team! Every great project starts with a good consultation to determine the goals and vision for the cake, how many servings will be needed and any special requirements. Consultation with client at bakery. 1 hour. 4. 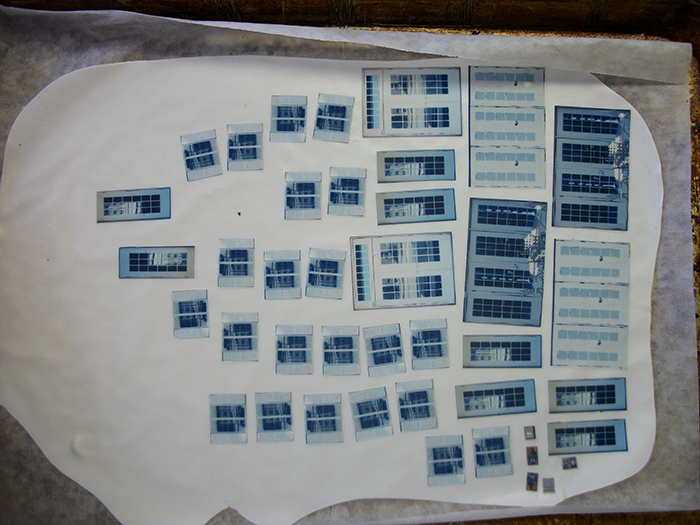 Edible printing: We downloaded and printed out all the photos of windows and doors on edible paper. 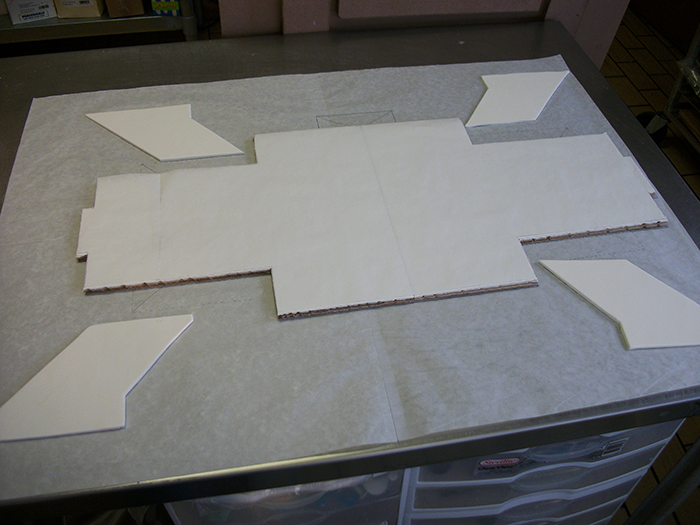 That paper is attached to fondant and then each piece is cut out individually. 2-3 hours. 5. 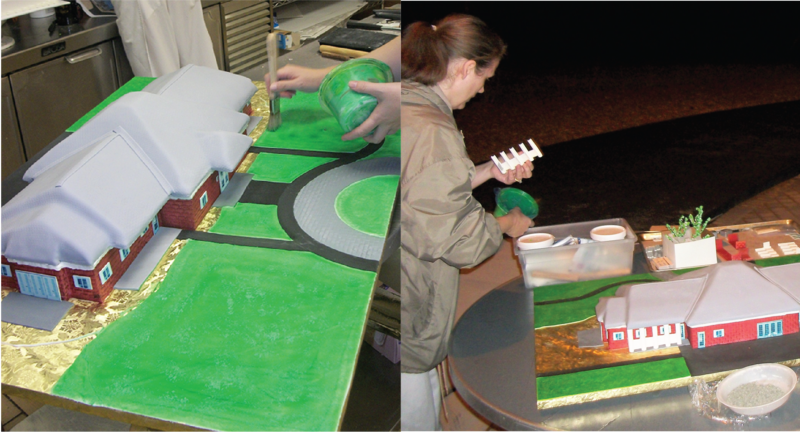 Custom cake board: Because of the size, shape and weight of the cake, a custom cake board and templates were needed. Creating those for the cake took about 2 hours. 8. Carve the cake base: layers to the shape of the building template. 30 min. 9. Ice the cake in buttercream. 30 min. 10. 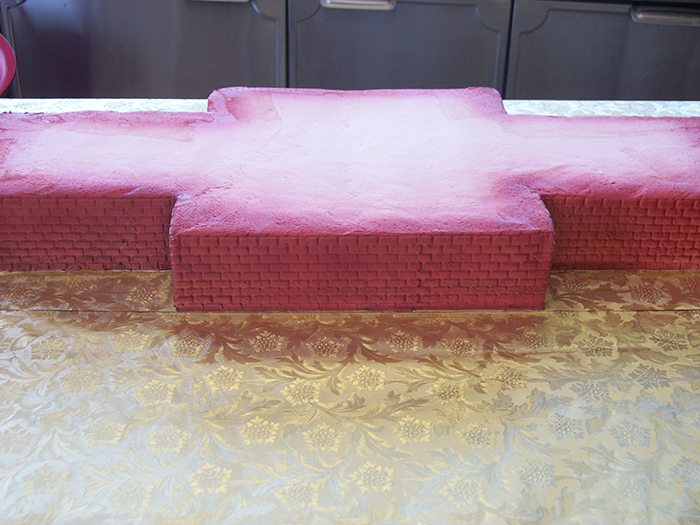 Pattern and airbrush sides: Make brick pattern on sides of cake and airbrush colors. 30 min. 11. 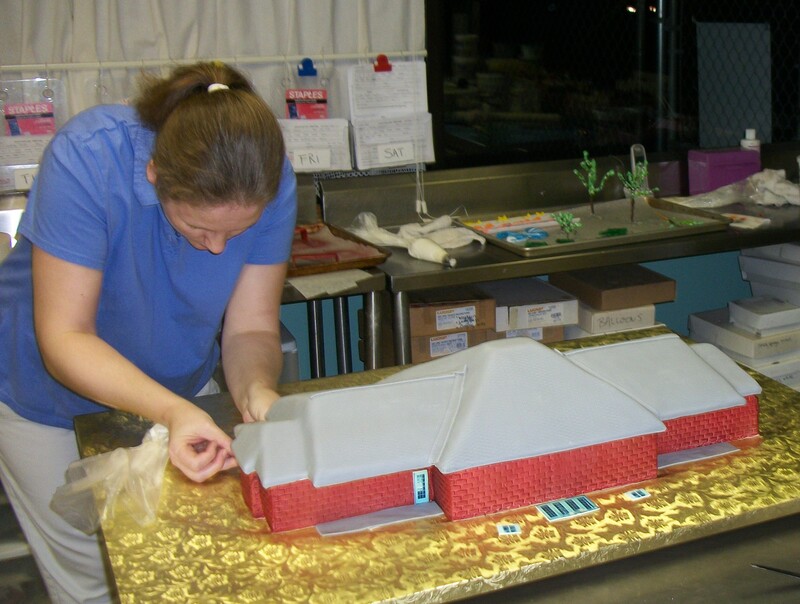 Stack and hand-carve the roof portion of the cake. Ice in buttercream. 2 hours. 12. Color and cover roof: Hand color fondant to match roof color. Roll out, texture and cover roof top potion of cake. 2 hours. Attach all cut out windows, doors etc. to the cake. Hand-cut fondant for roadway, walk way, grass etc. Attach to cake board. Texture grass and other areas with buttercream. 15. Inspect all details to ensure everything is in correct place. Take photos of finished cake. Move cake to display table. Clean up the area where we completed the final decoration steps. 1 hour. 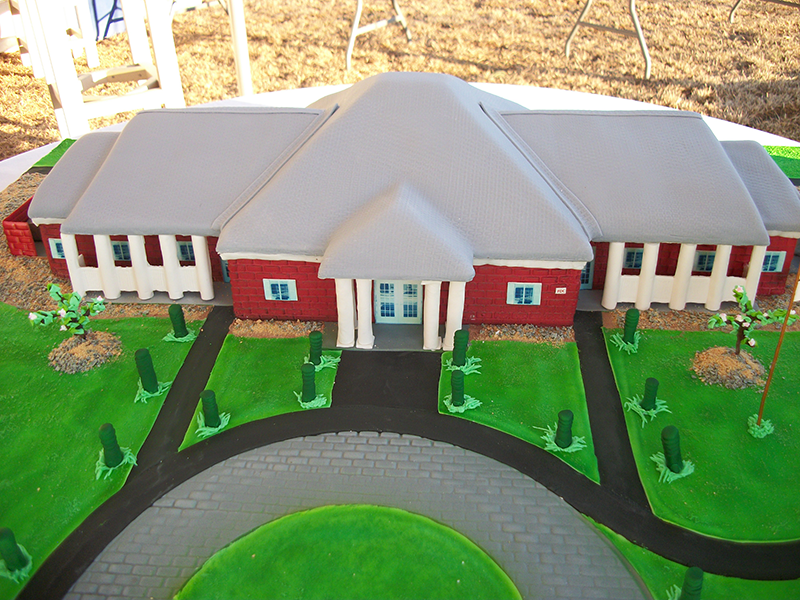 The process to create the Fisher House cake took over 25 hours. It required 2-3 staff members working together to get it all complete, so all-in-all it took about 75-90 hours to complete. 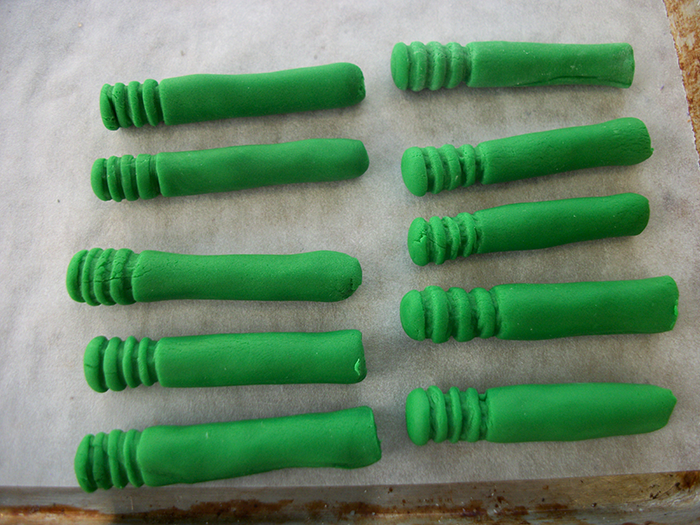 Specialty carving skills, sculpting skills, and edible printing equipment were all required. We also had to engineering proper supports, so the cake would not crack during transport and complete assembly at 4am on-site. Custom created cakes take an investment of time, talent and materials. Next time you see an amazing cake, remember it didn’t happen in an afternoon. Many times, days of preparation go into the final results you see. For our team, it’s worth the effort to get the details right. Nothing compares to seeing the impact when we deliver a custom creation that our clients love.